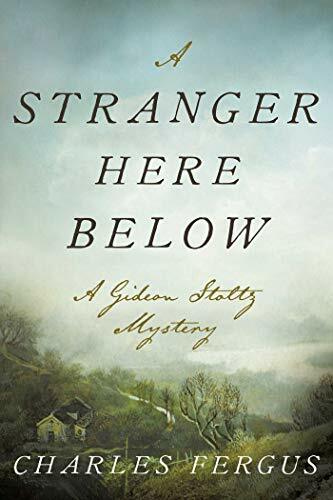 In A Stranger Here Below, Gideon Stoltz, a Pennsyvania Dutchman (that is, from German settler stock), has become sheriff almost by accident in the growing town of Adamant, in 1835. Though the town is already making its mark economically with an iron foundry and a range of wealth from ironmaster to thief, it’s only a hard day’s ride from frontier landscape and life. And some days, maybe not that far. A slow, rich novel of a distant time and a man who is “Othered” in most aspects of his life, A Stranger Here Below is also an exploration of how a kind person can be drawn toward the dark revelations that crime solving demands. For some, the book may be a bit too tender in places, yet this patina of affection can readily be crushed and scarred—as the sheriff’s investigation reveals.